Kristin Cavallari says she's relieved to not be participating in The Hills: New Beginnings, especially since she claims Audrina Patridge has already complained to her about filming. Bristol Palin has announced she's leaving Teen Mom OG after only one season. Dancing with the Stars Photo Gallery: See who all your favorite Dancing with the Stars professional dancers are dating or married to! 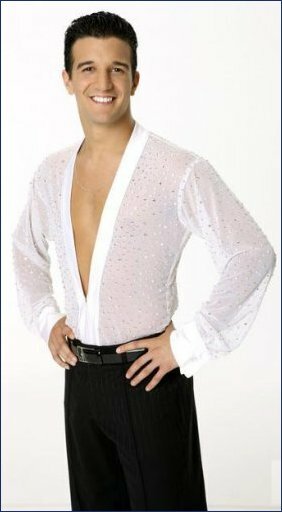 Alan Bersten is competing as a professional partner on Dancing with the Stars' 27th season, and he's made it all the way to the finals. Julianne Hough is giving fans a never-before-seen look into her wedding. Dancing with the Stars: Athletes' cast for this spring season has been officially announced. Sadie Robertson says "Dancing with the Stars" had "nothing to do" with her developing an eating disorder. Sadie Robertson has revealed whether her stint on Dancing with the Stars played a role in the development of an eating disorder, which she has since overcome. Bristol Palin will have a big role in her sister Willow Palin's wedding.